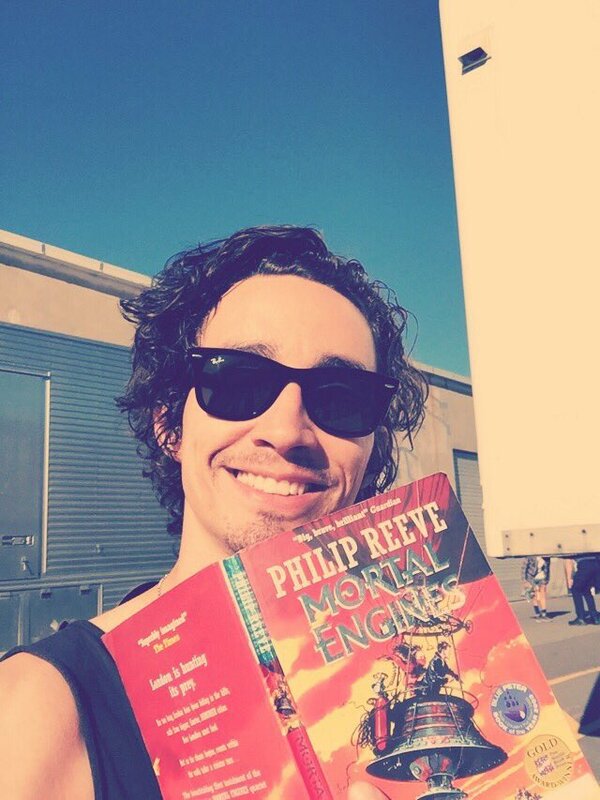 With Rob away in New Zealand filming his new movie 'Mortal Engines', what better way to pass the time waiting for news on it than by reading the book it's based on! So starting on Monday 6th March 2017, we're launching #MortalEnginesMondays! ​We'll read a few set chapters each week, and discuss them on Twitter/Facebook/Instagram on Mondays - it gives us something to look forward to at the start of each week! ​Because we're all in different timezones, it's easier to not set a strict time, so we'll just take over the whole of the day & submit our thoughts for discussion whenever suits throughout the 24 hour period, using the #MortalEnginesMondays so we can all find your posts - sound ok to everybody? I've attached a calendar below which should ​let you all know what chapters we're reading & when, but if you have any questions, get in touch through the usual channels! ​At the very bottom of the page, you'll find a link to purchase a copy if you don't have one yet. I'm excited! Who's with me?